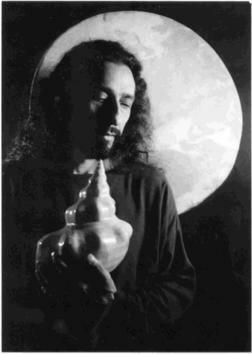 Antonio Zepeda was one of the first Mexican musicians who studied pre-Hispanic music and instruments. Living for long periods with Mexican indigenous people, Zepeda learned about their culture, philosophy and, of course, their music. In the pre-Hispanic cultures, music had a sacred dimension, the instruments themselves were thought to communicate the mortal with the eternal: the caracol, the flute, the huehuetl and the teponaztli, were voices whose origin was attributed to the Gods. The instruments had arrived from the world of deities to cheer up the perishable world.